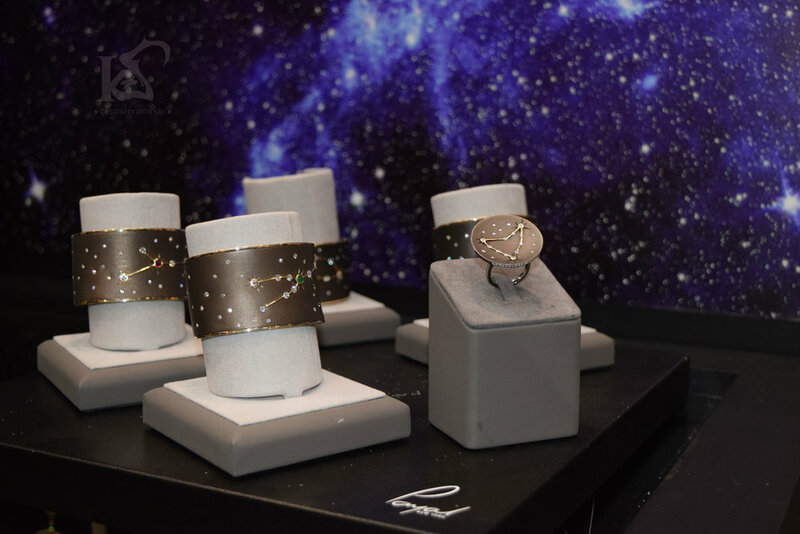 It was such a pleasure to have been invited to view the collections of Payal New York during the Doha Jewellery and Watches Exhibition. Set at the Press Conference room in a very elegant setting - we discussed diamonds, and fine jewelry over Laduree coffee and macarons! Yes, it was long ago - but beautiful jewellery is timeless. Payal is an Interior Architect. She has a Bachelors in Maths, and Physics. She loves jewellery as it is a part of the culture she grew up in, and of course ladies love jewellery regardless. After she learnt Maths, and Physics, she went for Art, and History. Then she became a chef, she learnt how to cook. She finally realised she wanted to create a jewellery experience as its missing now a days. Everybody goes for Cartier, and other commercial brands, and looks the same. But she says, if you are spending money, why not spend it on something that is truly you. Something that speaks about you without you speaking about it yourself. There was a lot discussed over coffee. Payal Mehta ventured into Jewellery Designing 7 years ago. Her latest collection was created keeping in mind what the next generation was looking for in terms of fine jewelry. She interviewed young girls from all over the world, and keeping in mind what they liked she came up with really beautiful pieces. The catalogue of her collection Le Bal is Fairy Tale - High School mix with some beautiful illustration; when asked who the artist was , she humbly says it was herself. She interviewed girls from Australia, India, Nepal, Europe, China, and America to know what they want. While talking about her Lotus collection, she mentions how much effort she puts into a design. She thinks of the collection, draws the collection, and then visit expos, and fairs to get the right material to start work. Once this is done, the stone is traced with her design, and cut with hand. All her pieces are handmade by herself. Her standout point is that she uses no casts. She has used Pink Opal in this collection. Payal loves birds a lot. Her first collection was the bird collection. Every year she makes one piece to add to her bird collection. The bird collection design is made only once. She never repeats it once its sold. She tries hard to capture the spirit of the birds in her pieces. They fly so high, and do not make a lot of noise. You can be successful without making a lot of noise, she says. Constellation Collection was my favorite from all her collections. She says the collection was put together by her daughter, and herself together. To create the collection it took her eighteen months. It's made of silver, and is very difficult to put together. Only very few artisans around the world has been able to make something of this level. She initially tried making it with gold but it looked too shiny for the night sky. She prefers working with precious metals - so then she moved to silver. Everything was handmade - This collection is very limited just like her other pieces. She has made 12 pieces for 12 months, and ten pieces of each. It was truly an enjoyable, and motivational time that I felt I spent with her. Payal explored a lot about what she really wanted to do. She tried a lot of things, and ultimately found what she was really passionate about. Have you found something that you are really passionate about? Something that gets your creativity flowing? If so, share your story with me!